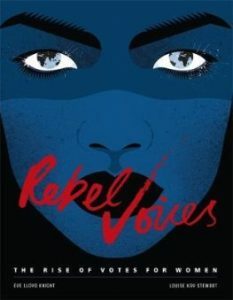 As we celebrate 100 years of Women’s Suffrage in the UK, this splendid book highlights women’s fight for the vote across the world. It traces the global history of women’s suffrage chronologically, from New Zealand (1893) to the Middle East (Saudi Arabia 2015), dedicating a double spread to each country mentioned in the book. 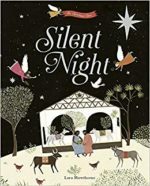 It offers a fascinating overview of how unique to each nation circumstances were. 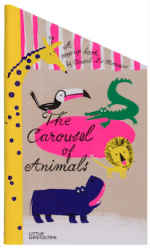 Stunningly illustrated by Eve Lloyd Knight, her bold designs are wonderfully enhanced by the large book format. 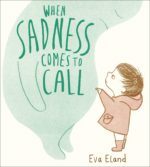 The artwork also allows the book to be appealing across age groups; the text is short enough for young readers but the overall design makes it a great read for teens and adults too. A superb, empowering read! 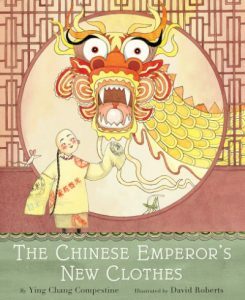 This retelling of The Emperor’s New Clothes takes readers to ancient China, where a young Emperor enrols his tailors to help him outwit the advisors who are robbing him and preventing him from helping his less fortunate subjects. It is stunningly illustrated by Roberts, whose depictions of Chinese architecture, design and costumes are superb (don’t forget to look underneath the dust jacket for more visual treats). 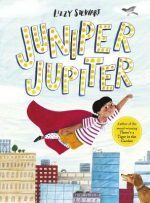 At the end of the story, Compestine provides some fascinating background information about her upbringing during the Chinese Cultural Revolution and her own encounter with Hans Christian Andersen’s tale, providing an authentic perspective to her readers. The book also includes instructions on how to make a New Year Parade Robe. 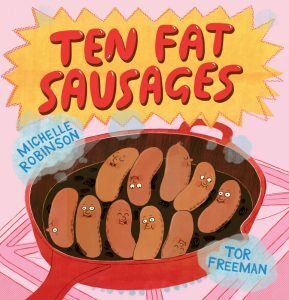 Subversive fun aplenty awaits readers in this wacky fractured rendition of the nursery rhyme Ten Fat Sausages. When the sausages realise their fate, they decide to break the cycle of the song and make a run for it, one after the other, with varying degrees of success! Not surprisingly, renegade sausages are the perfect ingredient for a hilarious tale and Robinson’s signature humour shines through, offering many opportunities for audience participation. Freeman’s cartoon style artwork matches the text perfectly; her use of comic conventions such as panels, speech bubbles and visual onomatopoeia echo the energy of the tale and her anthropomorphic sausages are cheeky, determined and one of the funniest unlikely heroes you are likely to come across. Fabulous fun!